This nature trail with 850 yards of boardwalk is an easy 1.5-mile round trip and is fully wheelchair accessible. 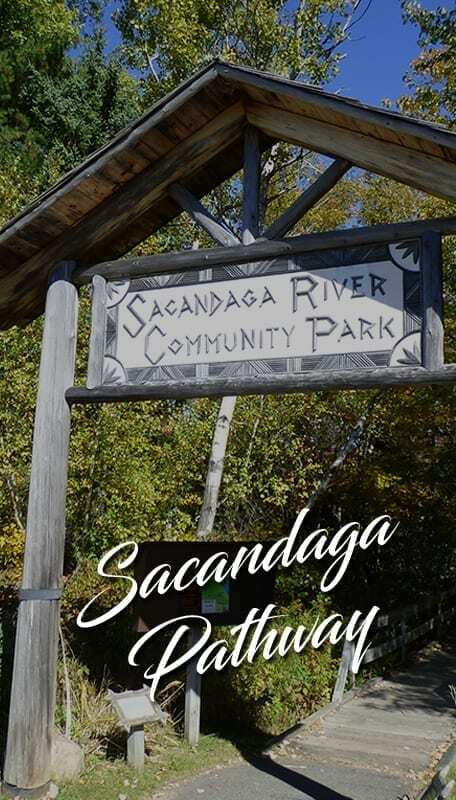 The path traverses a variety of habitats and three types of wetlands along a flat-water section of the Sacandaga River. Public rest rooms are available, as well as a picnic area with grills and a view of the river. There are interpretive signs about logging, geology and local history along the way. Look for American Bitterns and Blue Herons along the eastern side of the path following the river, as well as Black Ducks and Mallards. Along the path, you’ll also find a variety of Woodland Warblers, several species of woodpeckers including Pileated; Red-Tailed Hawks and American Kestrels.